weed - Can I Compost It? Most weeds from the garden can be safely added to your composter. In general, the heat produced from a good decomposing compost should be sufficient to kill the seeds of most weeds. After all, you don’t want to be introducing weeds to your flower beds by using your compost. There are a few exceptions, where the heat produced may not be high enough to kill off all the weed seeds. In particular, avoid adding any dandelions, bindweed, couch grass, Japanese knotweed, creeping buttercup, horsetail, ground elder or lesser celandine to your compost. 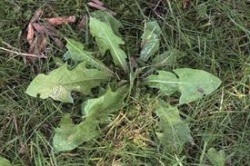 To avoid problems with other weeds, perhaps only add the fresh leaves of the weeds and throw the roots away (although the roots and the small amount of soil on them will contain loads of active organisms that would help get your compost going). If in doubt, maybe throw any flowers and seeds of weeds away as well.